Shelf, Burner, Pilot, Grates and More! LC117 Type Hi-Limit Thermostat With Auto Reset. 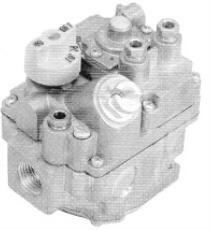 1/4" CCT Pilot Out Only, Bleed Gas Ports 1/4" CCT. 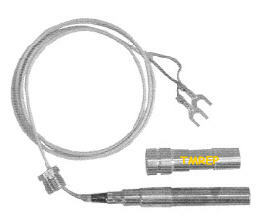 240,000 BTU, (7/16"-27) Screw-In Type Thermopile, H231, T-103. 750 MV, 500 MV Underload. 3/8-38 thread Brass Thermopile Holding Nut. Tube Size 1/4", Hood Width 1-1/2"
2" Diameter, Off-400-200, Flat Down, Mount .187"
Tube Size 3/16" and 1/4"
"VIEWED FROM REAR: SEE ADDITIONAL OUTLET POSITIONS"
For Vulcan/Wolf Ovens: CH & CHSS (From 1980-89) F, FS. "Works On Natural or LP Gas"
1/2" FPT Gas In/Out, With 1/8" Pressure Tap, Width 3"
Center Inlet to End Of Stem 2-1/8"
OUT 1/4" FPT "A,B.C,D,", 36" Capillary, Bulb 3/16" x 8"
15 Amp- 125/250 Volt, SPST, Lever 2-3/8"
20A/125V, 10A/250V, SPST, 1-1/2 HP. Top Flange O.D. 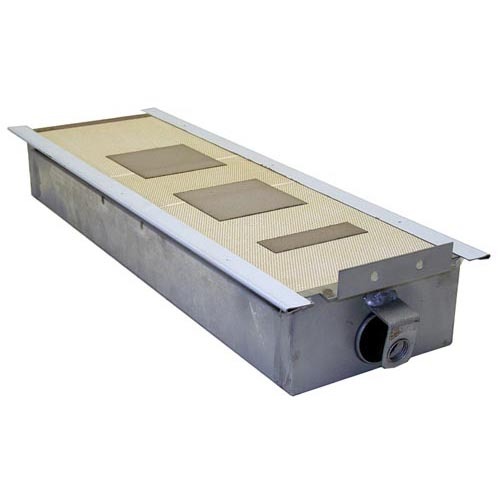 16-5/8" X 6-3/4"
Ceramic Area 15-1/4" X 5-1/4"
Ceramic Only 27" x 5-1/4"
For Wolf Range Models: F & FS, "J"
Rise One Side 3/4", Leg Height 2"
3"- 6" WC, Preset At Factory To 3.5"
5.5"- 12" WC, Preset At Factory to 8.0"
Stem Position Up or Down, Stem Size .240"
Center Inlet to End Of Stem 3-9/16"
Note: CSA APPROVED IN CANADA AND U.S.